Hani Shatara started his career as Cargo Exports Manager for Eastern International forwarders (DANZAS DHL) From 1990 to 1997 in Jordan. 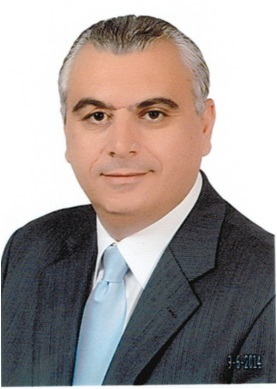 From 1997 till 2007 he worked as Country Manager for ARAMEX International for Saudi Arabia & Kuwait. He has 19 years experience in Transportation, logistics & ground handling. He completed a number of soft and technical trainings, including sales, presentation skills and high performance. In addition to dangerous goods handling, ISO 9002 and HR development. He joined NAS in 2007 as GM – NAS Jordan. Away from business, Hani Shatara likes to travel and spend his time reading.